North Korea has made advances towards defusing tension in the region, agreeing to allow the return of UN nuclear inspectors. But Pyongyang’s plan to launch a space satellite has put itself and the whole new deal in peril. ­The formal invitation came three years after North Korea blocked the International Atomic Energy Agency (IAEA) from visiting its nuclear sites, the agency confirmed Tuesday. The move was part of a nuclear moratorium deal reached in exchange for food aid and further negotiations announced last month. The agreement however is undermined by Korea’s intention to launch a space satellite in mid-April, a move which would violate a ban on rocket tests imposed by the UN Security Council. In a 2009 resolution, the UNSC has forbidden North Korea from developing ballistic missile technology. 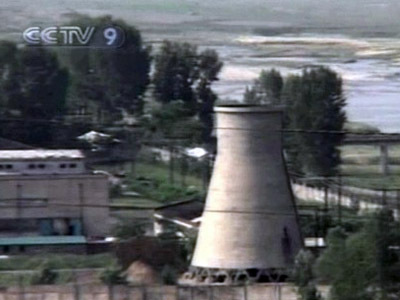 At the time, Pyongyang defied the sanctions by carrying out short-range missile test less than a month after its adoption. Pyongyang said it wants to put its satellite into orbit between April 12 and 16 as part of the celebration of the 100th anniversary of the birth of the communist country’s first leader and eternal president Kim Il-sung. North Korea insists that the launch is purely civilian and that it has a sovereign right to pursue space exploration. It would prove the country’s scientific and technological proves, the government said, notifying relevant international agencies about the future blast-off. The plan however caused great concern both in the region and among key international players. China, Russia, the US, South Korea and Japan, which are engaged in the six-party talks issued statements calling on North Korea to refrain from the move. 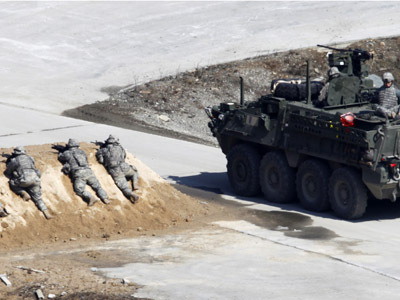 Japan has put its air defense troops on alert. The Japanese military have prepared to shoot down the Korean missile should it stray off its course and fly over Japanese territory. The US warned that the food aid deal may become in jeopardy over the launch, even though North Korea denies any direct link between the two. Critics of the move are worried that North Korea wants to test its missile technology under the guise of a space launch. 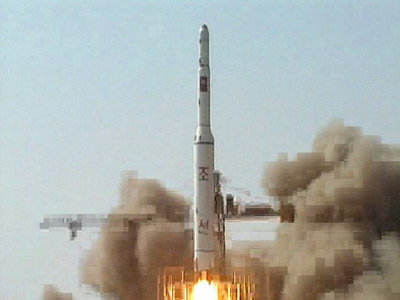 The satellite Kwangmyongsong-3 (Shining star) is to be carried into orbit by Unha-3 carrier rocket, which is believed to be a version of the Taepodong, Korea’s long-range military ballistic missile. There is fear that Pyongyang is trying to adopt its nuclear weapon technology to create a warhead, which this missile would be capable of delivering. North Korea already reported a similar successful space launch in April 2009. Other space-faring nations however said the blast-off ended in a failure, saying no Korean satellite was detected in orbit.